Below is a guest post by my husband Art. He is an avid DIYer, who is affectionately referred to as “MacGyver” for his creative solutions on a tight budget. 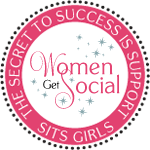 If you find this post useful, please let us know!! I’m sure Art has more handy tricks up his sleeve… If you’re like me, you have some sort of wet/dry shop vacuum (or three) that you use to tackle the larger and dirtier jobs around the house. These might be for vacuuming sawdust in the shop, cobwebs around the house, spilled potting soil or kitty litter. 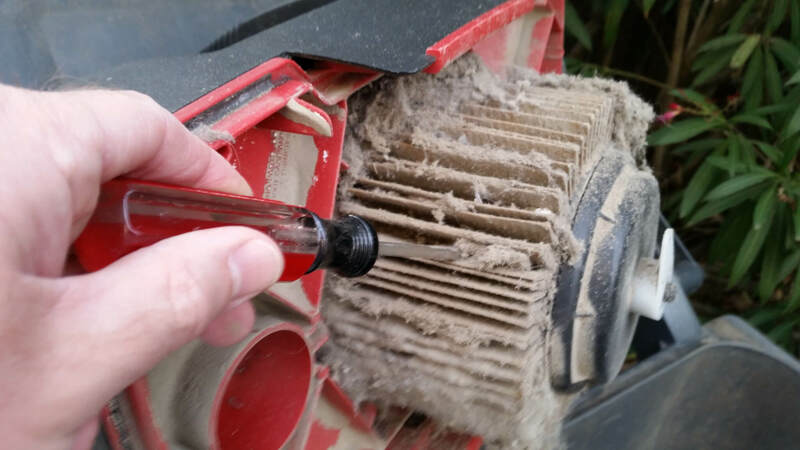 No matter what size or brand shop vacuum you have, they all one thing in common: the filter gets dirty which reduces effectiveness. Normally when the filter gets too dirty to use anymore, you do the one thing manufacturers want you to do. You throw it away and buy another to replace it. Filters are not cheap, costing $10-$30 depending on what your vacuum uses. What if I told you that you are wasting money that could be used instead for a meal or a decent bottle of wine? What the filter manufacturers don’t want you to know is that your dirty filter is reusable, for many years, if not the lifetime of your vacuum. Below, I will show you how you can easily clean your filter in about 5 minutes and reuse it over and over again saving money. Here are some suggested items to use in to clean your filter. If you don’t have access to these particular items, you can make do with any number of things found around the house. Dust mask – do you really want that stuff making it’s way into your sinuses & lungs? Small flat blade screwdriver – use to remove large packed dust/hair from filter grooves. Small hand broom – use to further remove dirt from filter grooves. Outdoor water hose with spray nozzle – to do final dirt removal from filter. If you don’t have a spray nozzle, a thumb over the hose opening will work just fine. The following steps are just a general guide. 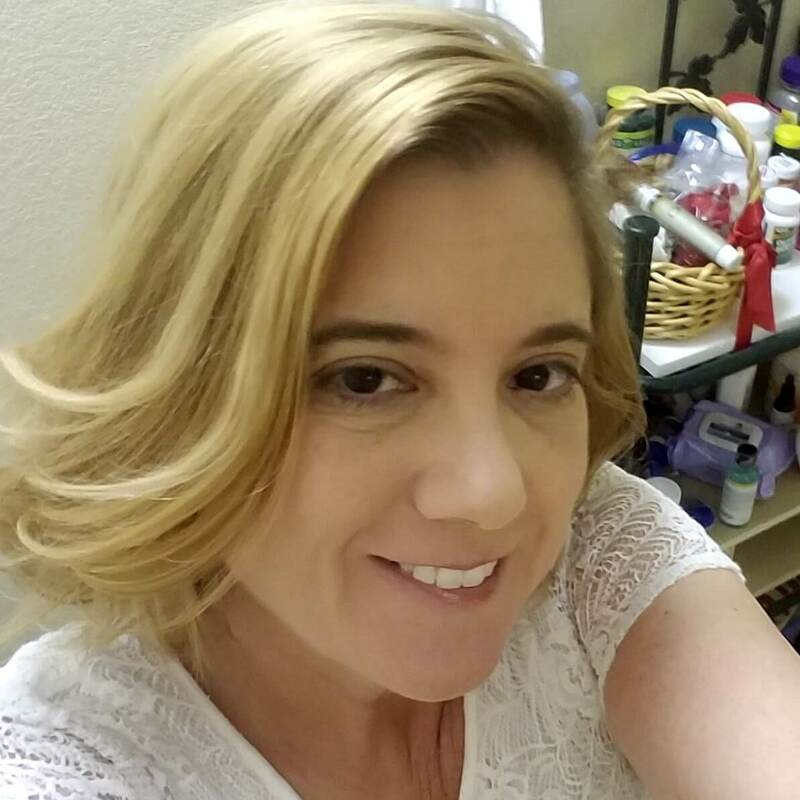 I have omitted some common sense items like performing the cleaning outside, unplugging the vacuum, dumping the collected debris from the vacuum into the garbage can, etc. 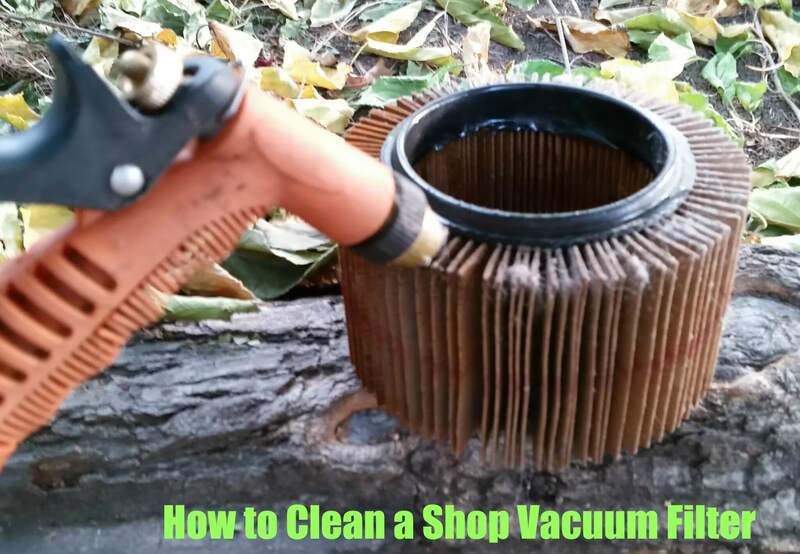 Open your vacuum and pull the motor housing with filter off the debris collection bucket. 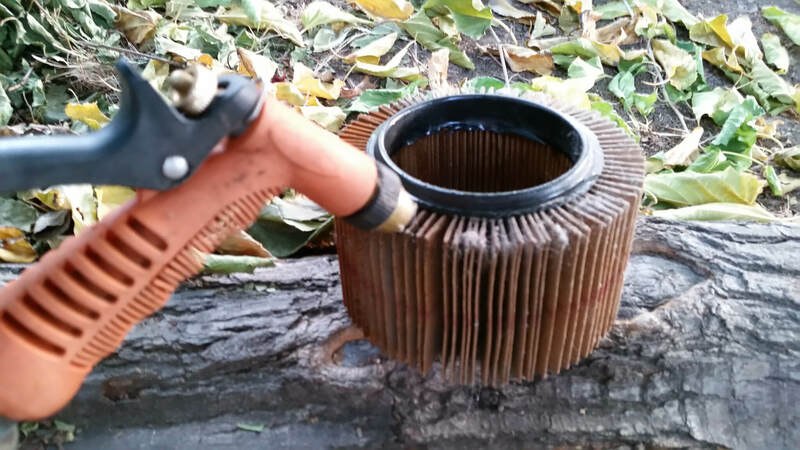 While still holding the motor housing/filter over the garbage can, unscrew the plastic nut and remove the cover securing the filter to the motor housing and slide the filter off. Gently use hand broom to continue to dislodge the large dirt deposits from the filter grooves. 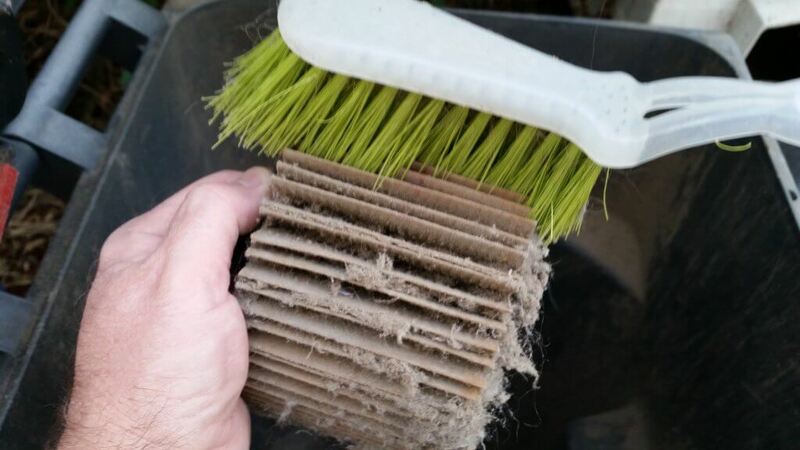 If you don’t have a hand broom, use the screwdriver to gently remove the dirt from each groove on the filter making sure not to puncture filter. Use water hose with spray nozzle to clean all remaining dirt from filter. Use a finger or thumb to open up grooves in order to flush thoroughly. Air-dry overnight. 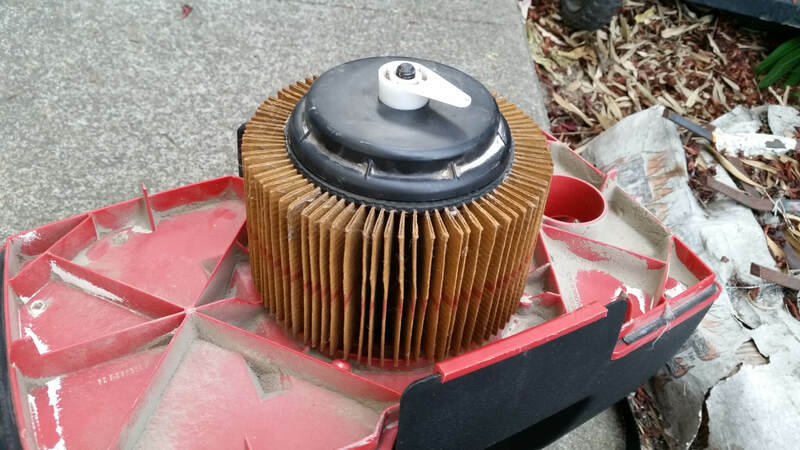 Using a damp rag, wipe any dust from the part of motor housing where filter exhaust air exits (plastic frame inside of filter area on motor housing). Reassemble and enjoy those honey-do chores. Would you like to see more DIY tips from Art? Please let us know in the comment section below.